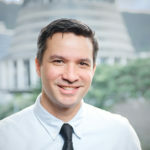 Guy Fiti Sinclair received his JSD from NYU School of Law in 2013. He is currently a professor of law at Victoria University of Wellington. Before undertaking his doctoral studies, Guy worked for over ten years as a corporate and commercial lawyer in a variety of private practice and in-house roles. In 2011, he completed an internship with the Legal Department of the World Bank in Washington, DC. Guy’s principal area of teaching and research is public international law, with a focus on the law of international organisations, the history and theory of international law, and law and global governance. His book, To Reform the World: The Legal Powers of International Organizations and the Making of Modern States, was published by Oxford University Press in 2017. In 2016, he was appointed Senior Fellow (Melbourne Law Masters) at Melbourne Law School, and in 2017 he was appointed External Scientific Fellow of the Max Planck Institute Luxembourg for International, European and Regulatory Procedural Law. He is an Associate Director of the New Zealand Centre for Public Law and the Associate Editor of the European Journal of International Law.